The Plisse style French door screen is the ideal solution for both in-swing and out-swing french doors. The Plisse is the french door screening solution that keeps bugs out, lets fresh air in and doesn’t compromise the classic elegance of your door. Comprised of two Plisse retractable screen units – one on each side of the opening – the double door Plisse retractable screens pull out from each side to meet in the middle. Our unique, non-coiling/non-spring retractable screen means no need to worry about a latch or magnet to keep the screens in place. They stay where ever you put them. 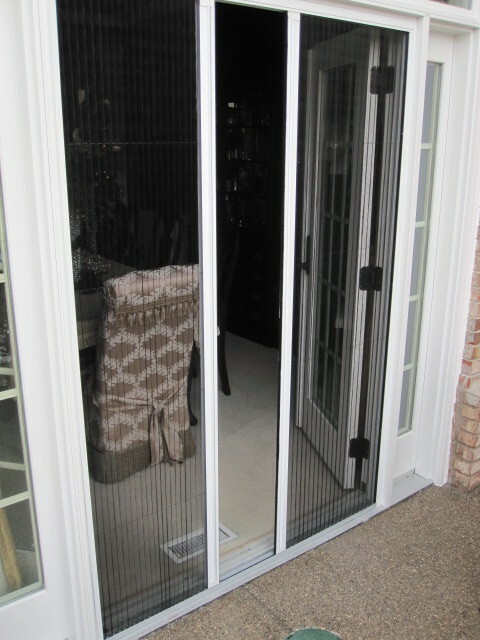 French door retractable screens remain out of sight until you need them, providing you the best possible view of the outdoors from inside your home. 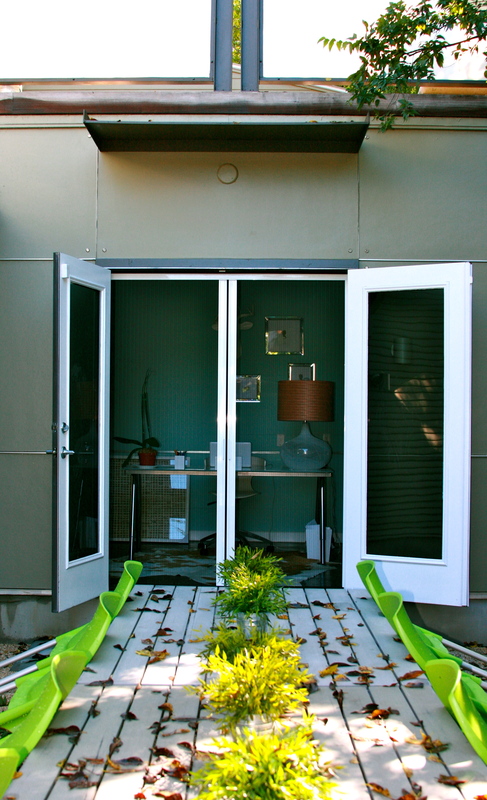 Not all French retractable door screens are created equal. The Plissé retractable screen by Screen Solutions demonstrates this with innovations that include die cast aluminum corners, Teflon-infused plastic and a bottom rail dust cover. Especially innovative to the invisible screen market is the DIY replaceable fabric assembly, now standard with the Plissé II. This feature means no expensive service call or complete replacement is necessary if your neighbor tries to walk through your new retractable screen door. 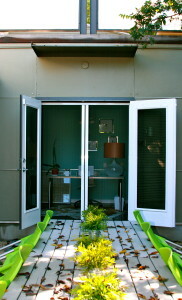 There simply isn’t any other French Door retractable screen available to the average homeowner that offers the over-abundance of features that the Plissé retractable screen does: die cast aluminum corners, minimal use of plastics and stainless steel small parts for long life in extreme weather conditions, six standard colors to closely match most exterior trim colors, dual adjustable die cast aluminum handles, Teflon-infused plastic for smooth operation, bottom rail dust cover and DIY replaceable fabric assembly. All of this is available for a competitive price and includes free ground shipping to the lower 48 states, and backed by the Screen Solutions Inc limited lifetime warranty. 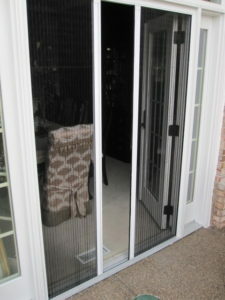 Call us at 866.571.8870 to order your French door screen now! Visit our How To Plisse section for help with everything from measuring and handing to installation. Ready to order now? Great! Visit our secure online shopping cart to place your order today and have the pest-free breeze blowing through your new retractable screen by next weekend!